Falcona private jet charter flight for a new customer. We had an enquiry for a trip to Amsterdam, for seven people. The client had a budget in mind for the trip, so we had to bare that in mind when sourcing appropriate aircraft. 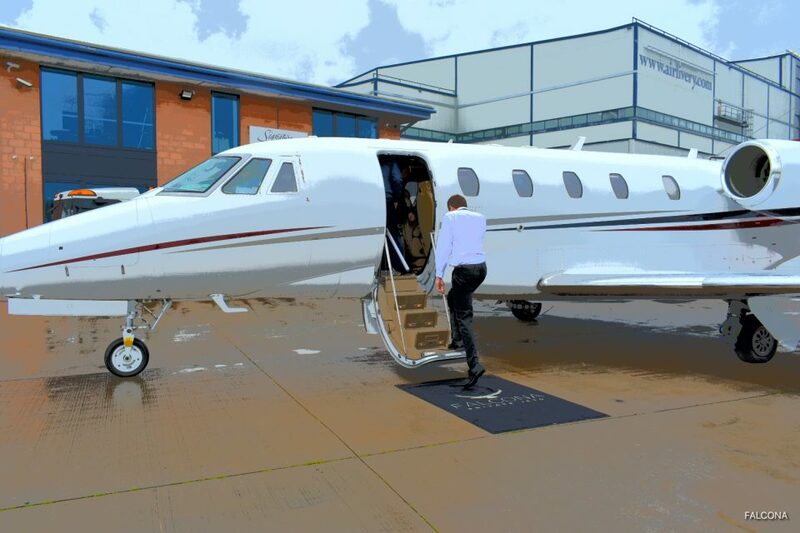 We provided our client with a choice of three suitable aircraft for the flight. We sourced an aircraft that would be suitable for the passengers and their budget. 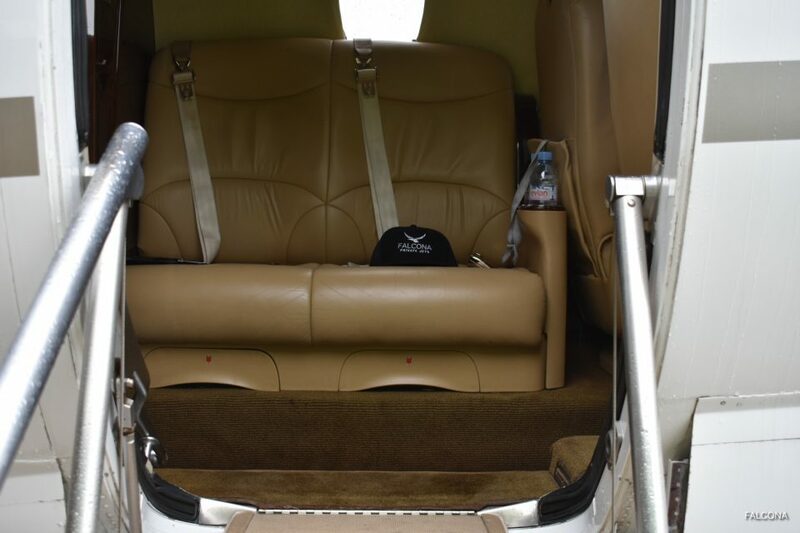 Regardless of the budget we always perform due diligence at all times to ensure that our clients get the safest and best aircraft for their flight. 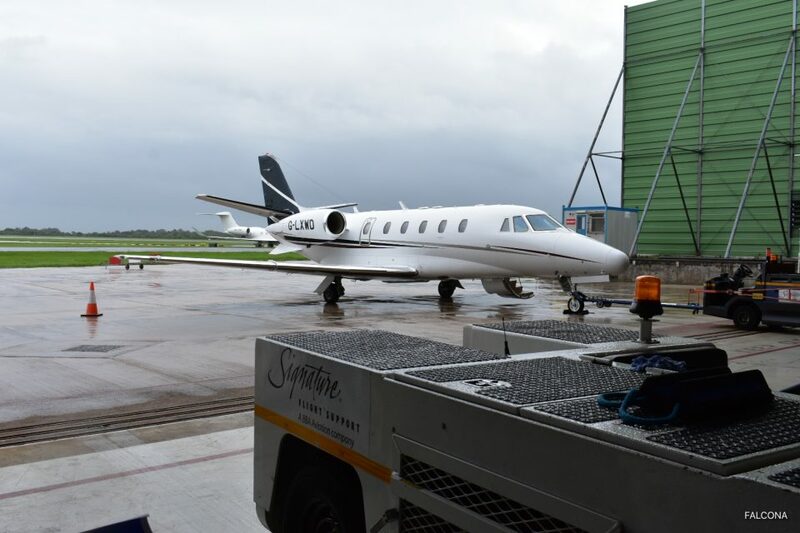 This particular trip was frustrating for us and also the client, due to two aircraft that they wanted to book had gone, once they had decided which they preferred. When you decide to shop around and use several charter brokers this just delays the process of booking your aircraft. 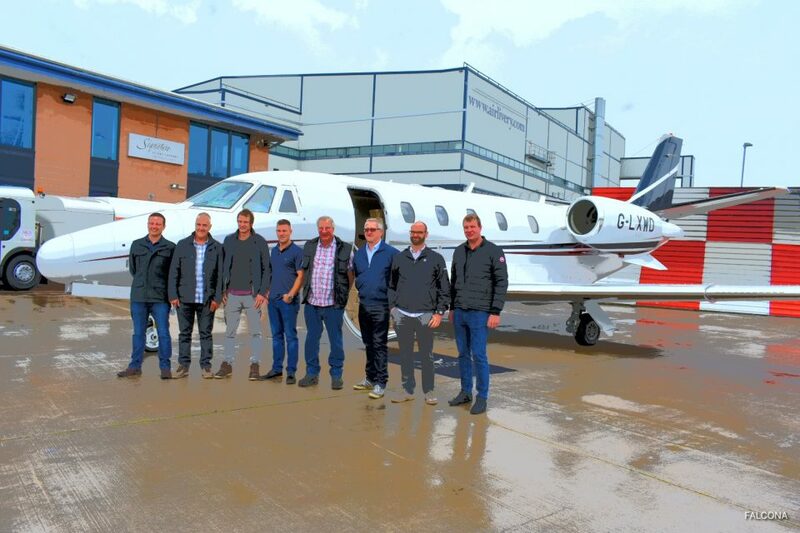 We eventually booked a Cessna Citation XLS one way for our client as there were now eight male passengers travelling. A return flight would have gone over their budget. Flights like this can be an issue when the client has a set price for a flight. 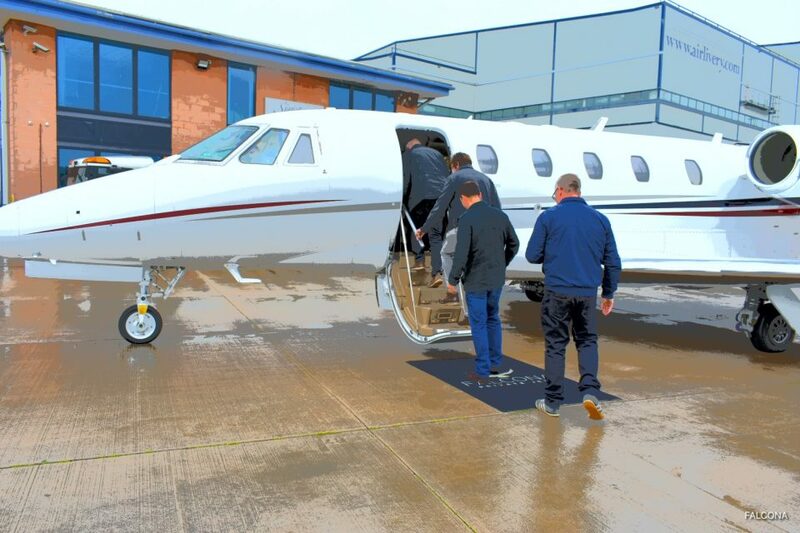 As a charter broker we always aim to get the most suitable aircraft for the flight, whereby the client has a memorable experience. 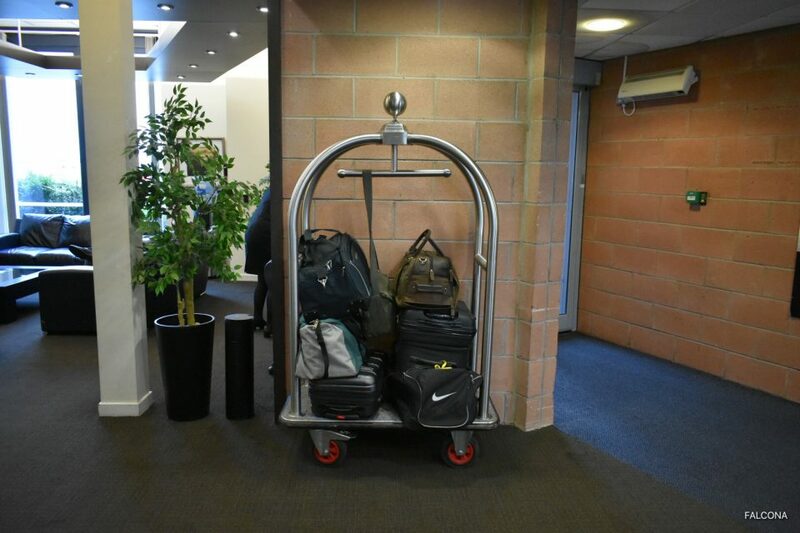 Having used this operator in the past, we know that our clients will be looked after, before, during their flight. This makes the process of booking easier. 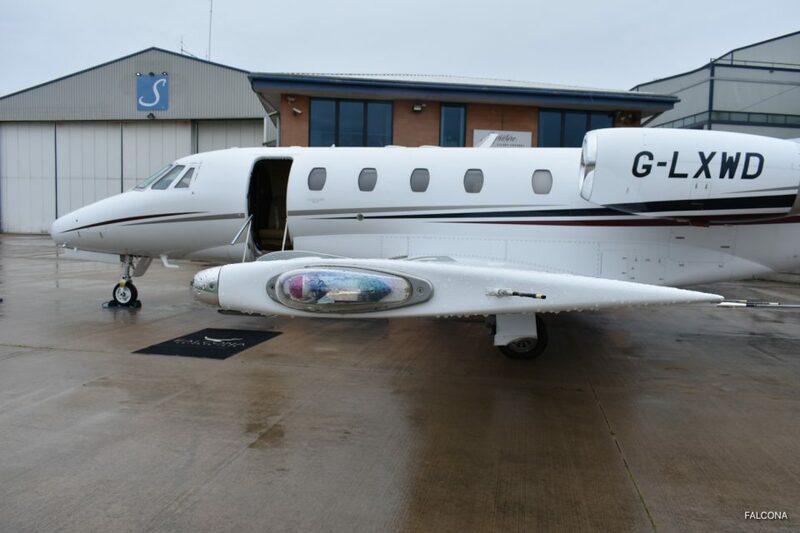 The Citation XLS arrived in Manchester an hour prior to departure. Amsterdam airport can get busy at times and so our permitted take-off time may not match your requested time. We will monitor this situation closely and advise you should there be any difference between our requested and permitted timings. Two cars requested. 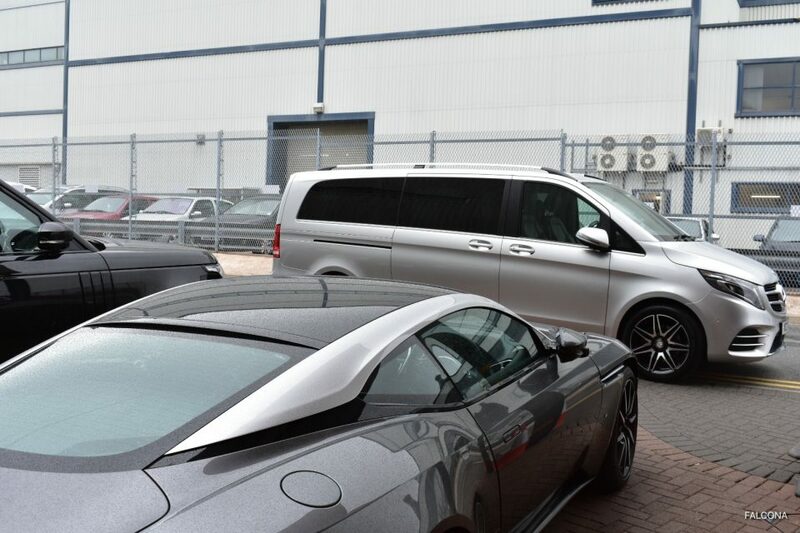 Mercedes S and V Class for passengers and their luggage. Our passengers had requested some bitter, so that they could drink in the lounge before the flight. As a charter broker we ask what their preferences are in terms of catering and drinks on-board each aircraft. Due to a slot delay in Amsterdam the flight had to be delayed by 50 minutes, this can happen when the airport is extremely busy or the weather is problematic. So this is when our friends at Gast Maison helped with the Champagne to ease the pain for clients. 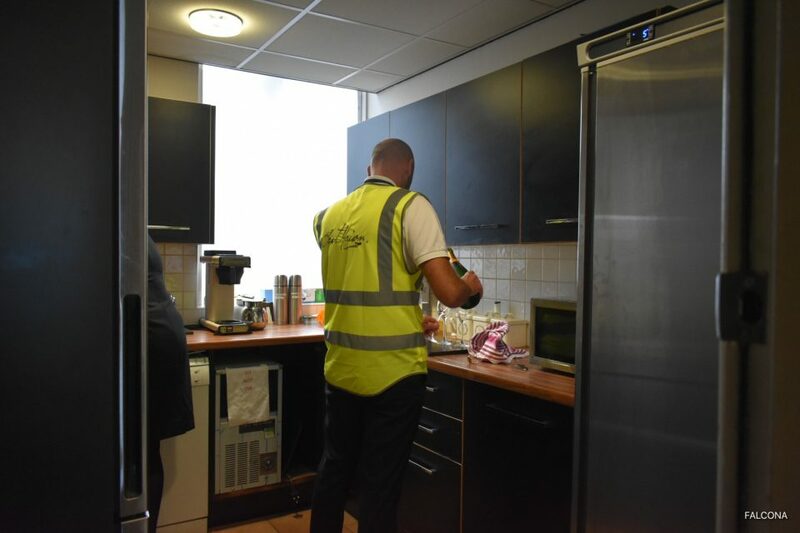 As we are onsite it was possible to speak directly to clients and with the crew and ensure they were kept up to date with the situation. The Citation XLS is the most popular super light business jet. 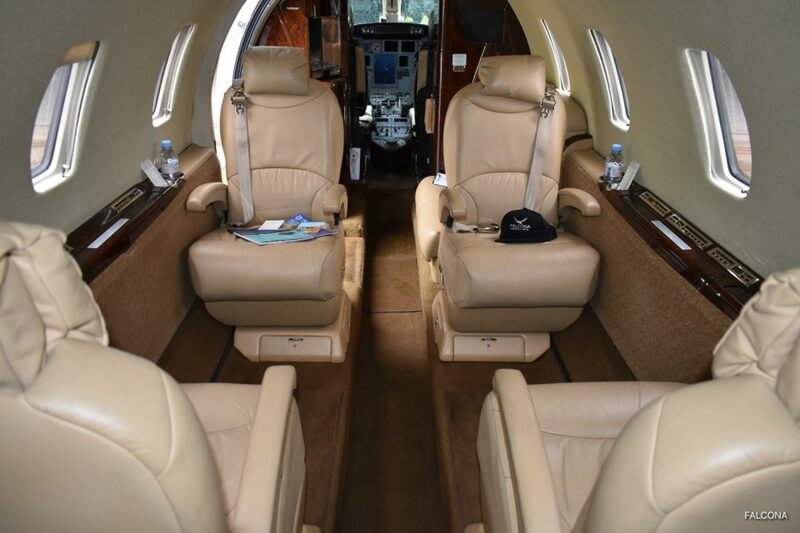 With a luxurious seating capacity of up to nine passengers, and an excellent short field performance, the Citation XLS is the perfect mid-size aircraft for flights around Europe and Northern Africa. The aircraft has full air-conditioning and Satellite Phone technology. It also has fitted AC 110 and 240 volt outlets for work on the go. 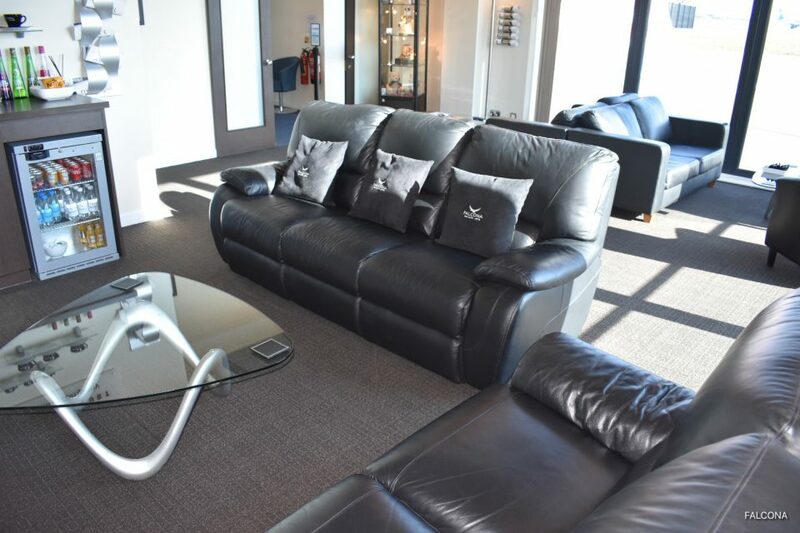 The XLS is luxuriously configured with a refreshment centre including a fully stocked bar and an enclosed private wash-room located at the rear of the aircraft. If you’re thinking about flying to or from Amsterdam for a weekend break, whether it’s for business or pleasure then let Falcona organise your next trip.